Aidan cottage is a luxury stone built holiday cottage, providing outstanding self catering accommodation over 2 floors for up to 4 people. 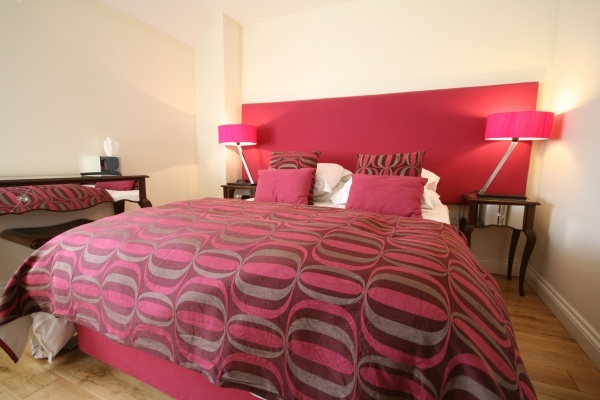 The property is part of the stunning collection of Bamburgh First holiday cottages situated at Adderstone. 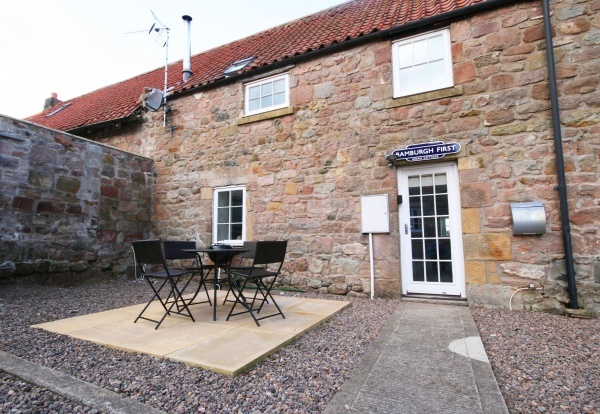 Located between the A1 and the picturesque coastal village of Bamburgh, Adderstone is an attractive and accessible rural area, ideally positioned in the heart of the Northumbrian countryside for those wishing to explore the many historic and iconic local sites nearby. Bamburgh, a wonderfully picturesque historical village, is only 10 minutes drive from Adderstone and Alnwick, with its famous castle and gardens, is around 20 minutes drive away. 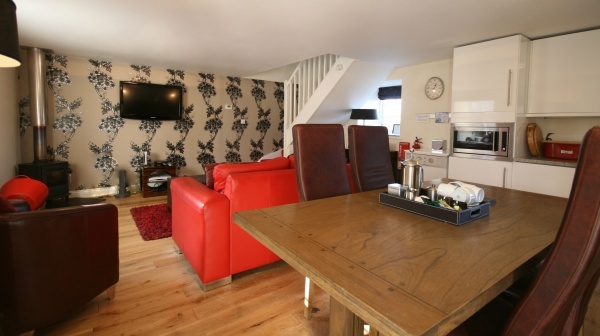 Aidan Cottage also features a paved outdoor patio area with garden furniture and barbeque. The cottage is pet friendly, comes with unlimited free wifi and sky television and has been awarded a prestigious four star gold rating by Enjoy England. The beautifully presented open plan lounge, dining area and kitchen is bright, spacious and comfortably furnished. The clean, modern lines provide a sense of style and luxury whilst remaining both warm and inviting at the same time. The well appointed kitchen has been carefully designed to present the optimum layout to maximise available space. This incorporates a range of modern appliances and accessories including a cooker and hob, microwave, toaster, dishwasher, washing machine and tumble dryer. 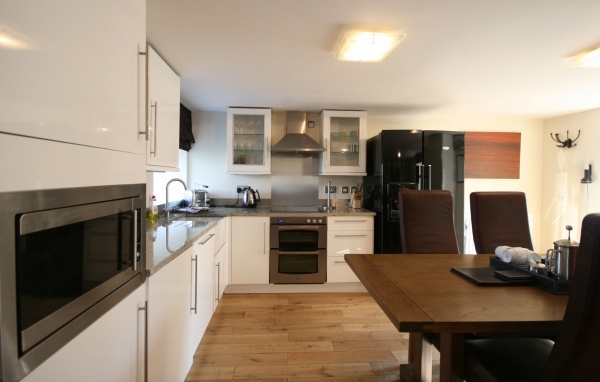 A fantastic American-style fridge/freezer and a stunning ‘Belfast’ sink add to the deluxe feel of the accommodation. The lounge area, with stunning, contemporary décor, offers a comfortable seating arrangement and is equipped with flat screen TV – with full Sky digital package - DVD player, free WIFI access and a top-of-the-range music system with ipod docking station. A cosy wood-burning stove creates a relaxing ambiance throughout the ground floor. The master bedroom is attractively decorated with quality furnishings and offers a king sized bed, bedside units with reading lamps, flat screen TV and storage facilities. 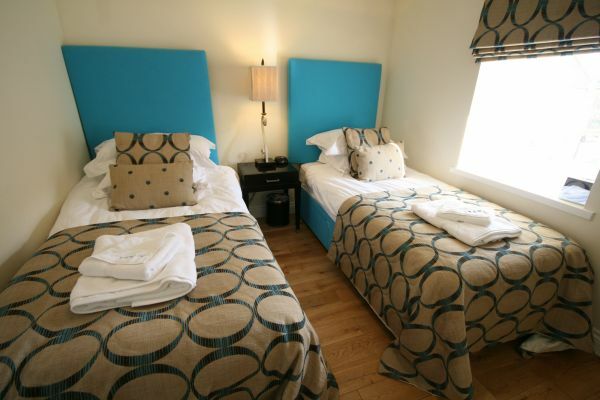 A pretty twin bedroom has a bright airy feel and is ideal for sharing. It has two single beds, bedside unit with reading lamp and features a large window allowing plenty of light into the room. The typically high-quality furnishings of the cottage continue through to the luxurious shower room which features a large walk-in power shower and travertine tiling.